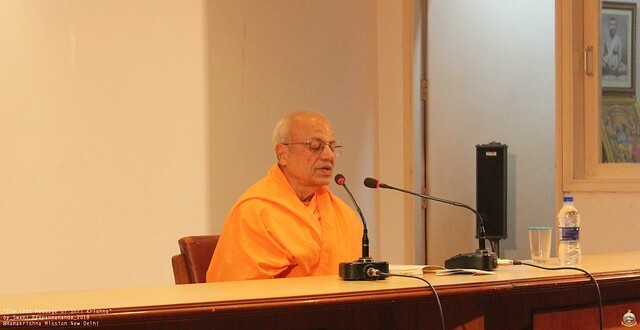 Revered Swami Prapannanandaji Maharaj, the Head of Sacramento centre in USA, gave a talk on “The Last Message of Shri Krishna” on 3rd August 2018 in our Sarada Auditorium, Ramakrishna Mission, New Delhi. 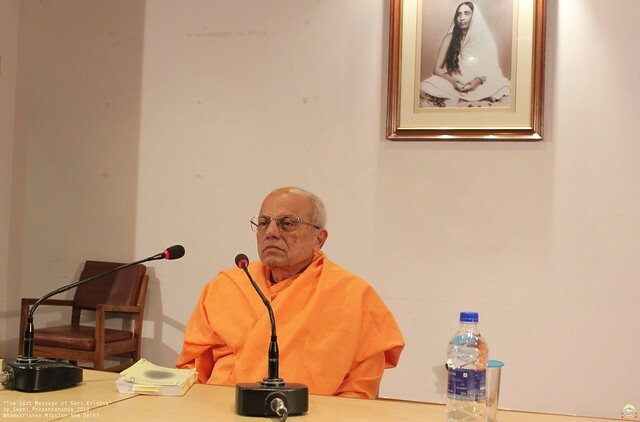 In March 1989, Revered Maharaj was sent to America to become the Assistant Minister of the Vedanta Society of Sacramento. 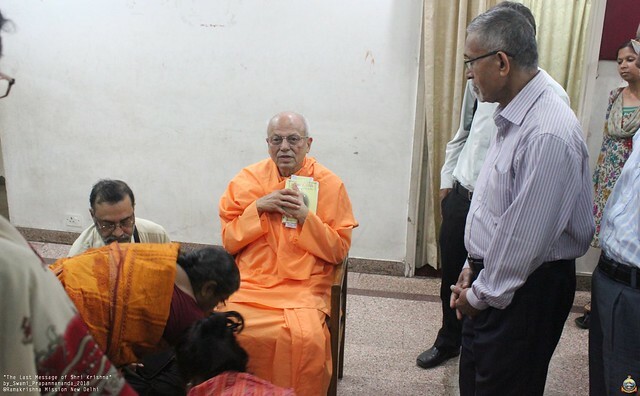 After finishing his academic education at the University of Calcutta and working for sometime in an engineering firm, he joined the Ramakrishna Order. 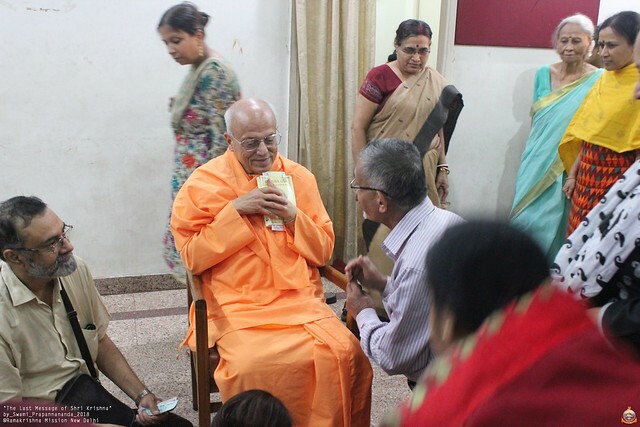 An initiated disciple of Swami Vireswarananda, the tenth president of the Ramakrishna Order, received his final monastic vows from him on 1976. 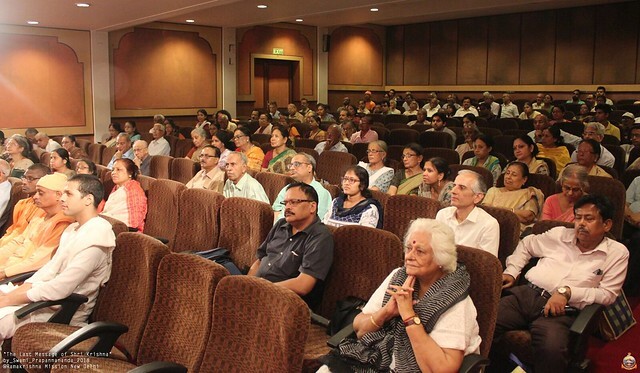 Immediately after joining, Revered Maharaj was sent to Rajkot in Gujarat State where he passed twenty years of his monastic life as an important worker in various fields of the center including temple service, relief and rehabilitation, publication and book sales, dispensary and library work. 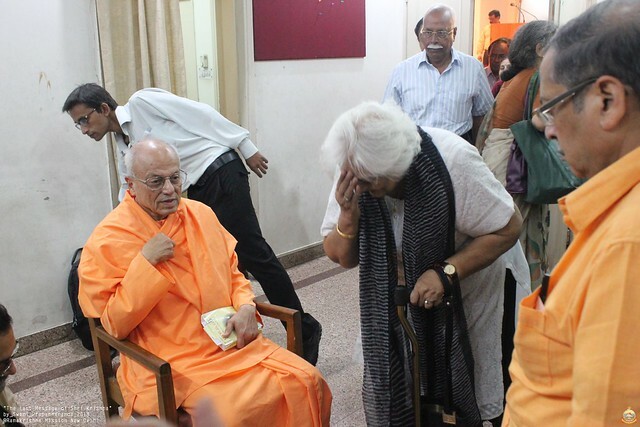 He spent two years in Belur Math for scriptural studies. 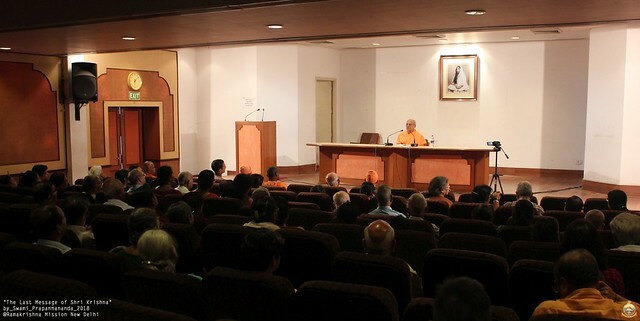 After the passing away of Swami Shraddhananda in July 1996, he was appointed Minister and Teacher of The Vedanta Society of Sacramento.